Based in Tuscaloosa, Alabama, our Kia dealership is dedicated to providing great experiences to customers with a robust inventory of vehicles. Whether it’s a compact four-door or hatchback, a larger or full-size vehicle with luxury-oriented features, or an SUV or van for family-oriented rides, our dealership offers a wide range of Kia vehicles to satisfy just about any type of customer need or taste. With a new Kia car, it represents a fresh start. You don’t have to worry about past issues, such as collisions or major repairs. And you don’t have to worry about any immediate repairs or replacements, either. All you need to worry about is ensuring that it is adequately maintained to avoid any problems along the way. Going with a new car gives you a lot of freedom. You can consider a wide range of body styles: from hatchbacks and sedans to SUVs and vans. And you can choose the exterior color, trim level, and feature package that you need and want. You cannot do that with a used Kia. In addition, a new car presents the latest automotive technology. Examples include a touchscreen for more convenient execution of infotainment features, remote keyless entry for convenient access, Bluetooth wireless technology for hands-free phone calling and audio streaming, and Android Auto and Apple CarPlay for controlling features with your smartphone. Also, consider that automakers like Kia have become more conscious about producing cars that are environmentally friendly. Thus, you can expect a model that is more fuel efficient and has lower emissions than the previous versions. A third advantage of getting a new car is the lower insurance rates, compared to a used one. Even if the difference is not that huge, that can translate into considerable savings over a few years. Kia is known for manufacturing high-quality vehicles, and they also provide one of the most generous warranties in the business. So, you are not just assured of an automobile that will last for a long time and will rarely give you trouble during the period of ownership. You will also be backed by certain repairs or replacements free of charge if something does go wrong. Ready for a test drive of one of our vehicles? 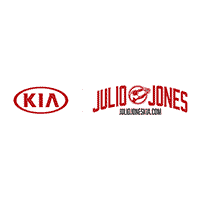 Call us today to set up an appointment with one of our Kia sales specialists. As evidenced by favorable aggregated reviews on Google, we make customer satisfaction a top priority. Test-drive one of the Kia vehicles of your choice and get the one that fits your specifications.